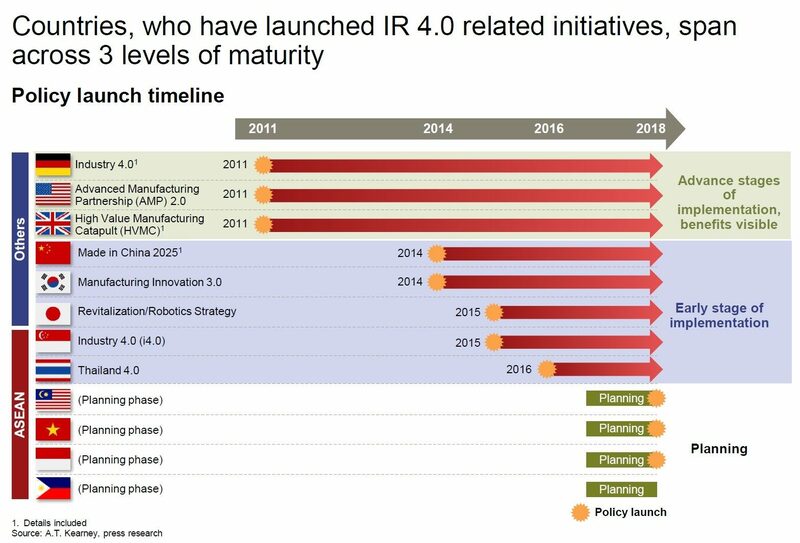 “Making Indonesia 4.0” – will Indonesia finally realise the benefits of the 4IR? On April 4 2018, President Joko "Jokowi" Widodo launched the Making Indonesia 4.0 program to help the country better compete in the global market in the digital era, create more jobs and become among the top ten largest economies in the world by 2030. If successful, the roadmap will boost the real economy of Indonesia by between 1 - 2 percent, facilitating GDP growth rates in the period 2018-2030 to be at least 6-7 percent per year. The manufacturing industry is targeted to contribute between 21-26 percent to the nation's GDP by 2030 and job creation through the roadmap is estimated at 7-19 million by 2030. The roadmap will focus on developing five manufacturing industries: food and beverage, automotive, electronics, chemicals, and textiles. The contribution of these five sectors to the national gross domestic product (GDP) is currently 17.8%. 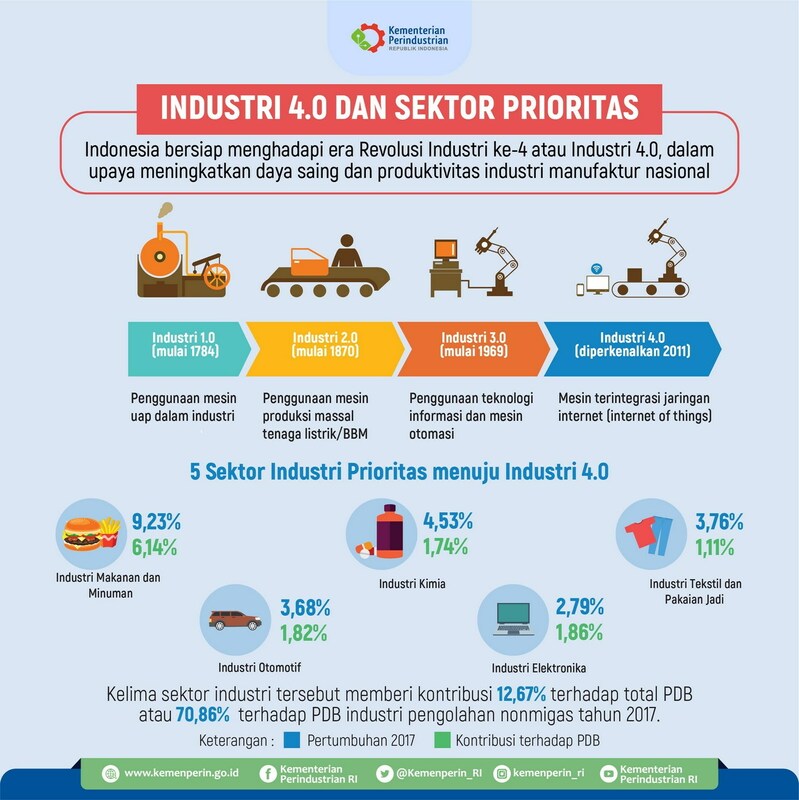 Industry Minister Hartarto said it will be key to encourage added value and high-technology downstream industries to become a competitive player in the new global context. 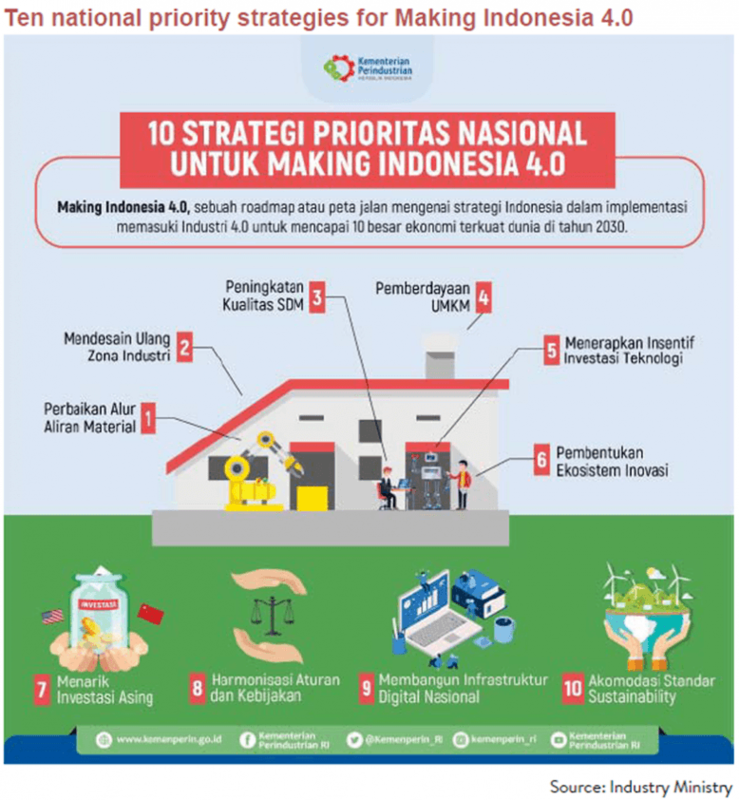 The design of the "Making Indonesia 4.0" roadmap involved stakeholders from various segments, including the government, industry players, industry associations, tech companies, as well as research and educational organizations. The roadmap contains ten steps that the government needs to implement. Among them are: empowering SMEs through digital technology, improving digital infrastructure, attracting foreign investors, changing educational curricula, and providing incentives for businesses based on digital technology. A study by A.T. Kearney with Indonesia’s Ministry of Industry showed that Indonesia is currently lagging behind other ASEAN countries like Malaysia and Thailand on their 4IR Country Readiness. 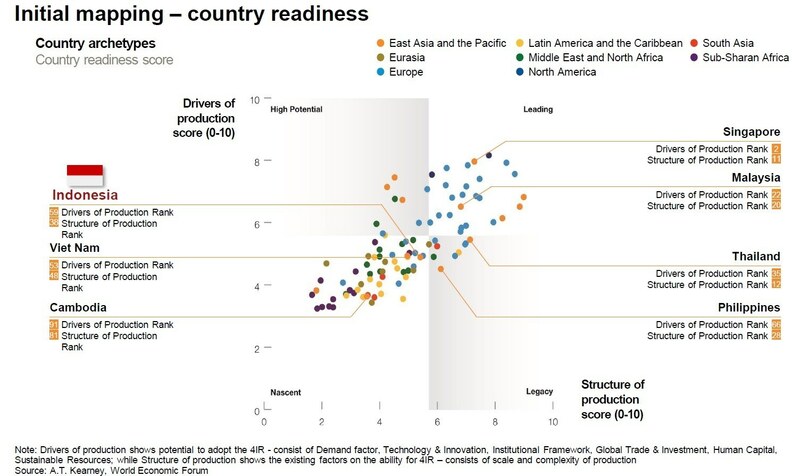 By comparing “Drivers of Production”, country preparedness to capitalize on emerging technologies to transform their production systems and “Structure of Production”, current baseline of production, Indonesia is slightly ahead of other ASEAN countries like Vietnam. Thailand was also used as a comparison in demonstrating how the Industry 4.0 adoption has been integrated into the nation’s economic model to develop a value based economy. Thailand launched their Thailand 4.0 initiative in 2016 and attracted $151.638 THB million of foreign direct investment for the 10 targeted industries with the top 3 being automotive, petrochemical and electrical and electronics. The first five S-Curve industries (general automotive, intelligent electronics, advanced agriculture and biotechnology, food processing, and tourism) was where the Thailand wanted to boost the country’s competitiveness through building on its current strengths through technological innovation. Also targeted are the five new S-Curve industries (digital, robotics and automation, aviation and logistics, biofuels and biochemicals, and medical hubs) where the aim is to develop those industries to accelerate the new industrial growth base. Cost is less a concern in Thailand compared to in other Asean nations, with large enterprises exploring quality solutions from Europe and US. In Indonesia however, enterprises remain cost sensitive - the installation of IoT to build a smart factory for example, has only been applied by 1 in 10 industry players. at our 25th Asia IoT Business Platform, Jakarta, Aug 28 & 29 at Ritz Carlton Mega Kuningan.